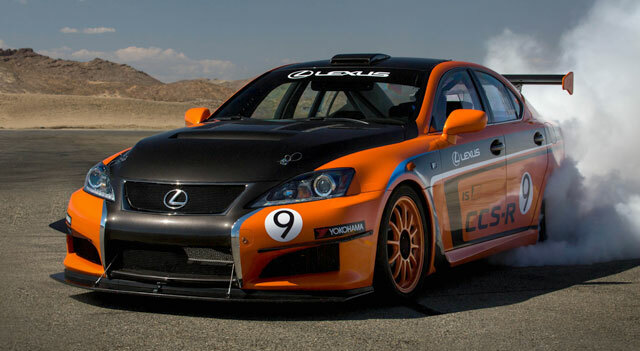 Lexus USA has announced an official IS F CCS-R team will be participating in the 25 Hours of Thunderhill, an annual endurance race at the Thunderhill Raceway Park in Willows, California. Jeff Westphal: Leader of the Lexus team at Thunderhill. Jeff is well-known for setting nearly a dozen track records at tracks all over the country and has been one of the quickest drivers in his class in previous 25 Hours of Thunderhill. Ken Dobson: A local Northern Californian and three-time class winner of the 25 Hours of Thunderhill. An endurance racer by heart, the long-time competitor has raced American Le Mans Series (ALMS), Grand-Am, World Challenge along with National Auto Sport Association (NASA) and Sports Car Club of America (SCCA) club racing. Tom Dyer: A full-time competitor during the past couple seasons in the Grand-Am Continental Tire Challenge series in the ST and GS categories. He earned his first series win earlier this year at the Mid-Ohio round. The 25 Hours of Thunderhill is considered the longest endurance race in North America, and should be a good test for IS F CCS-R — the race starts December 7th, best of luck to the Lexus team!